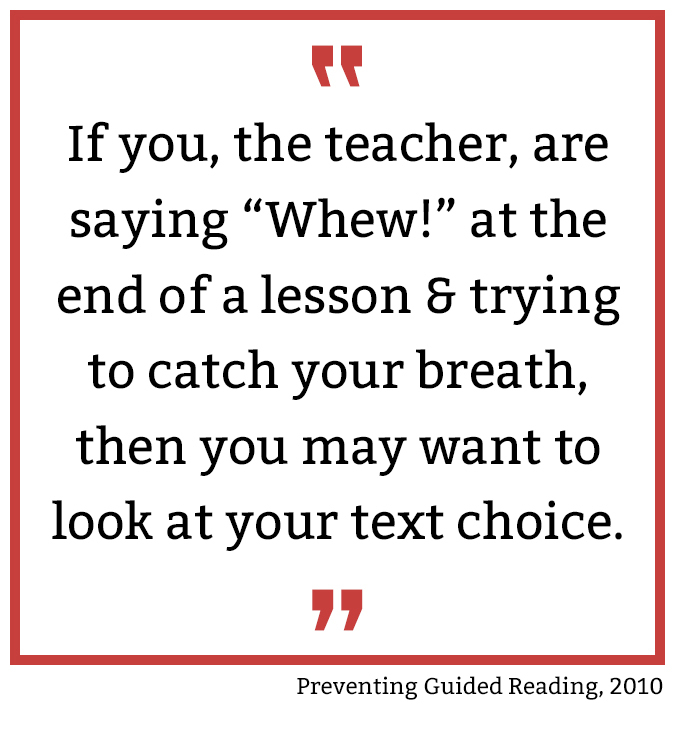 Preventing Misguided Reading | I Teach. What's Your Superpower? Feel like you could teach a guiding reading group in your sleep? Or do you feel completely overwhelmed with the massive amount of planning your guided reading groups take? 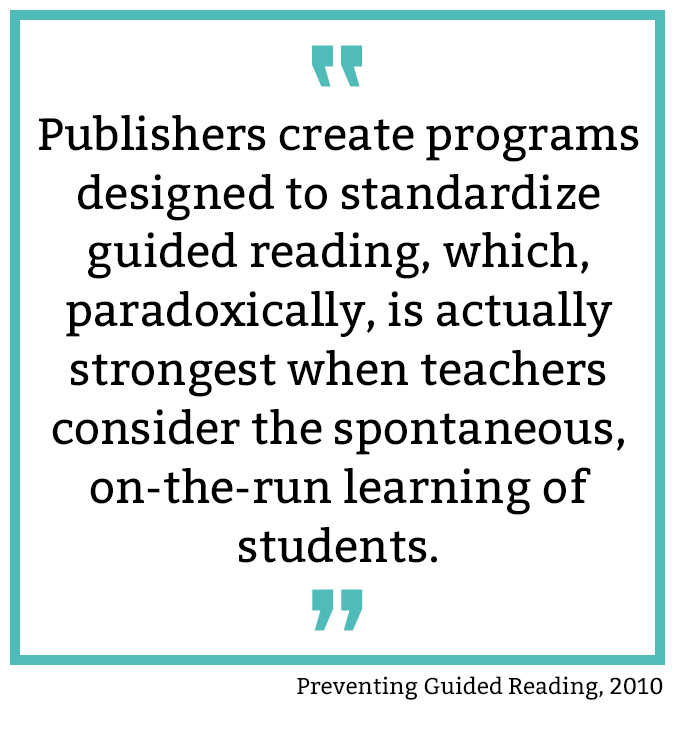 For many teachers, guided reading is how we spend the majority of our reading instruction with our students. When something is that big of an instructional focus, it deserves a second, third, fourth look at how we're spending that time to make sure we're getting as much out of it as we can. 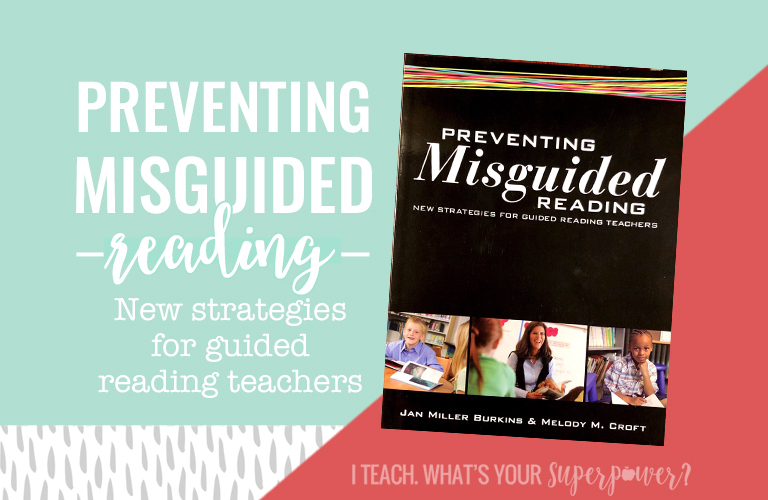 Preventing Misguided Reading by Jan Miller Burkins and Melody M. Croft gives us that. I love this quote. "Guided reading is not about teaching 'little books.' 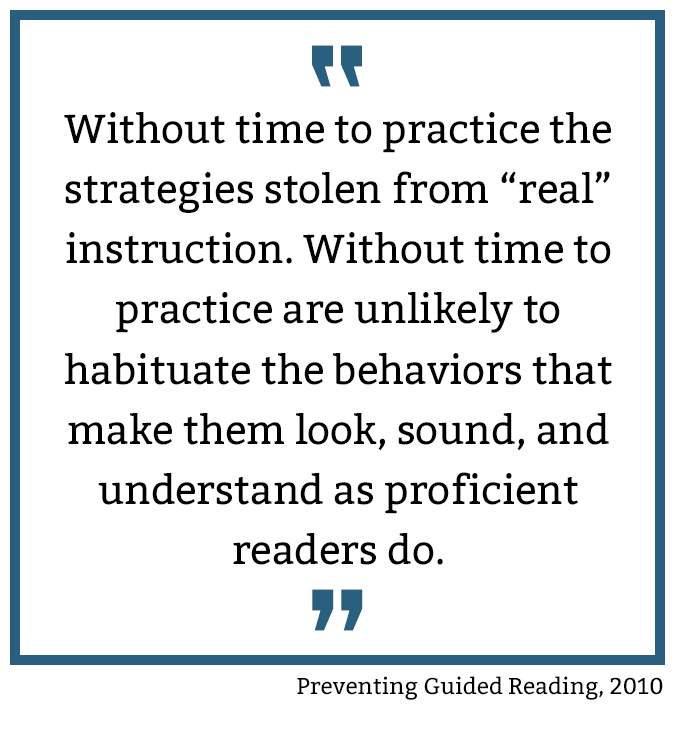 It is not about prompting for strategies or about leveling texts or students. 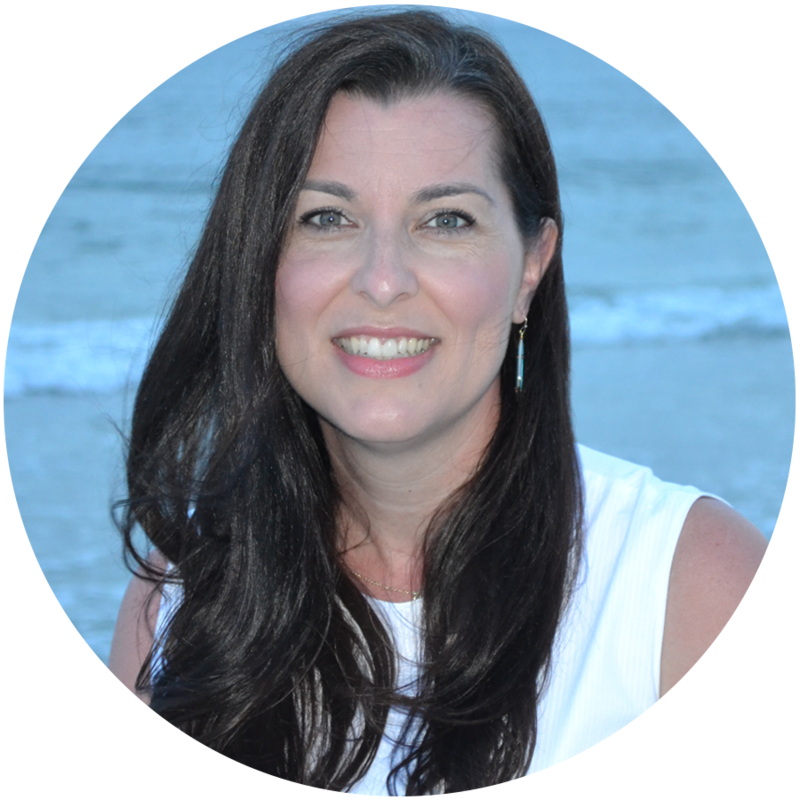 It is first and foremost about developing in students reading processes that are efficient, or what Clay refers to as 'a smoothly operating reading system.'" I'll be honest here. While my big picture guided reading has always been meeting the needs of readers, sometimes in the day to day drudgery of teaching, guided reading becomes more about getting through levels and books instead of the readers integrating those processes. The 27 strategies for teachers in this book. So many books focus on strategies for our students, this book instead focuses on strategies for teachers to use when taking a look at our guided reading lessons. I wish there was a concise list of the strategies with brief descriptions to have at my fingertips. I'll type one up, but I love to have it directly from the authors' "mouth". Good For . . .
Any teacher who is a guided reading teacher or reading specialist who supports teachers in their literacy growth. 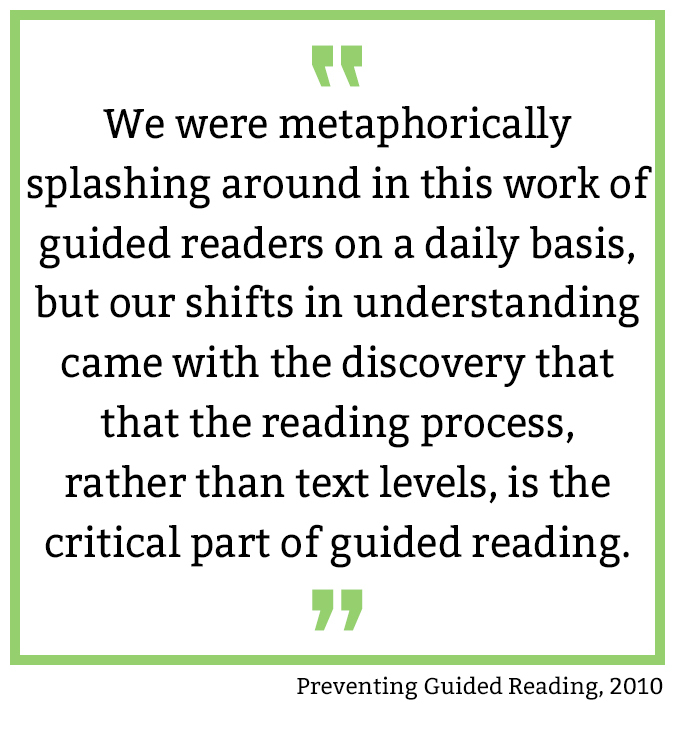 Preventing Misguided Reading is guide for anyone who wants to look at guided reading with a fresh set of eyes. 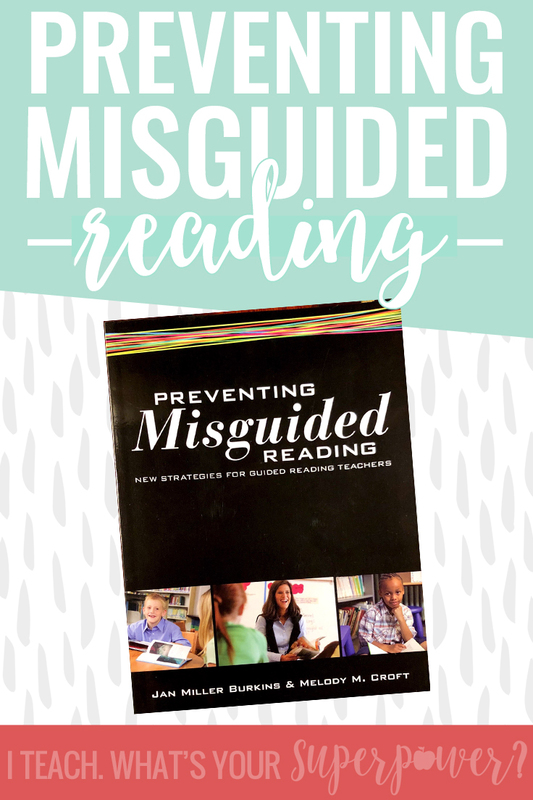 I hope you'll take time to read Preventing Misguided Reading. If you do, let me know what you think. I'd love to hear from you.